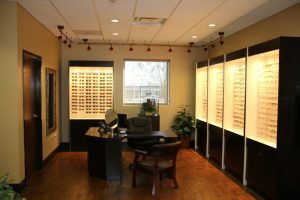 Newsom Eye Optical departments offer something for everyone. But if you want to show off your NEWSOM EYES in style, stop on by and take a look at some of the hottest designer frames available. Stop by one of our three locations and take a closer look at NEWSOM style. We maintain a tremendous inventory of the most sought after designer frames available!